Fissure sealants are the thin coating of white or clear dental materials applied to the fissures or pits of teeth. 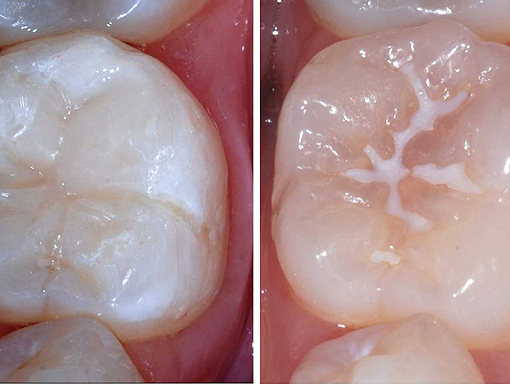 Most of the fissure sealants are applied to the chewing areas of the molar teeth. These sealants provide good protection from the tooth decay by keeping food and plaque out of the groves. Your dentist will examine your teeth and let you know if you need fissure sealants or not? Dental Resolutions for Healthy Teeth! Dental Resolutions for Healthy Teeth and Bright Smile! It is the time of the year when we set up resolutions for what we need to accomplish in 2018. New year resolutions give direction to our lives to move forward. We hope you have your personal resolutions sorted! How about your New Years Dental Resolution for a healthy bright smile? 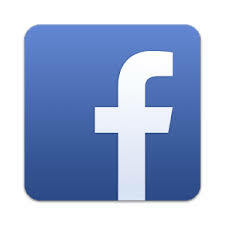 Yes, we can definitely help you achieve optimum oral health. Schedule your regular dental appointments– Having regular scale & clean and check-ups helps you maintain healthy teeth, sparkling smile and saves you from the costly and nasty surprises. Booking a dental appointment, your dentist will check your teeth for Gum disease, tooth loss, stained teeth, bad breath and any other oral condition. Your first visit to our Dentist- We welcome all New Patients with Complimentary consultation! If you are concerned or unaware about the condition of your teeth, its best to see a dentist. Generally, the first visit to the Dentist is about determining the present condition of your teeth, examining the work done in the past and future treatment planning to keep your oral health in good condition. On your first visit to Heritage Dental Group, you will be welcomed by our friendly caring staff and asked to fill out a medical and dental history form. This information gives your Dentist a good understanding of your dental and medical health to better plan your treatment needs. This complimentary first consultation does not include X-rays or Scale & Clean. We have appointments available for New Patients every day. At Heritage Dental Group, we take as much time as needed to explain and teach oral hygiene to our little patients. As we all know good habits should start in the early years of childhood, then why not start today. Come and experience our modern Dental Clinic in Indooroopilly at 410 Moggill Rd, with friendly and caring staff in a homely setting, using the latest equipment and experienced Dentists. We believe its never too early to start brushing and getting your kids in the routine of good oral health maintenance. Summer Dental Tips for healthy teeth! With only 5-6 weeks till Christmas, this is the best time to get your dental sorted. We welcome all New patients with complimentary consultation. Not sure what you need? Come in for complimentary consultation. Always wanted a whiter brighter smile? Teeth whitening is a safe procedure that can lighten stained or discoloured teeth. Tobacco, coffee, tea, alcohol, food additives, some developmental blemishes and natural aging all contribute to the discolouring and yellowing of teeth. 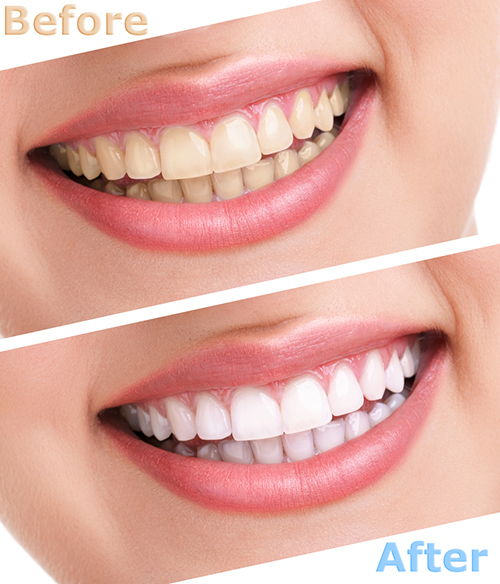 While a professional dental clean can remove some staining, Teeth whitening is a cosmetic dental treatment that can provide patients with great results that whiten the colour of teeth which have discoloured over time. Teeth whitening, if maintained correctly, can leave you with results that last. As teeth whitening agents have varying levels of peroxide in them, all procedures should only be carried out by qualified dentists who use a clinically proven cosmetic dental treatment. Why flossing your teeth is important? It is important to floss at least once a day because food and bacterial plaque can settle in between your teeth which can cause tooth decay, gum disease and bad breath (Halitosis). Even if your teeth look clean on the surface after brushing, plaque/tartar can build up in-between your teeth and can cause gingivitis which can lead to periodontal disease later in life. If you are not flossing regularly your gums are more likely to bleed. Next time, when you visit your Dentist for your (6 monthly Check ups) ask them to show you how to floss properly. Make flossing part of your oral hygiene regime. You should be flossing at least once a day. Ask your dentist if inter-dental aids will complement your flossing. Your children should start flossing too, start as soon as your child has two teeth that touch. Always wanted a whiter and brighter smile? Teeth whitening is a safe procedure that can lighten stained or discoloured teeth. What goes on during a Regular dental check up visit? During your thorough dental check-up appointment at Heritage Dental Group in Indooroopilly, our dentist will evaluate the health of your gums, perform a head and neck examination (to look for anything out of the ordinary). 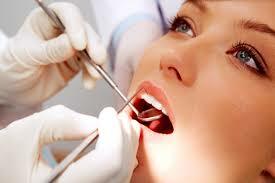 They will also examine your mouth for any indications of gum disease, oral cancer, diabetes or vitamin deficiencies. Don’t be surprised if dentist examines your face, bite, saliva and movement of your lower jaw joints (TMJs). Our Highly Trained dentist will then clean your teeth and stress the importance of you maintaining good oral hygiene at home between visits. Flossing advice and importance. While cleaning your teeth, the dentist will pay special attentiono the plaque and tartar as plaque and tartar can build up in a very short time in the absence of good oral hygiene between visits. If not removed, soft plaque can harden on the teeth and irritate the gum tissue. If not treated, plaque can lead to gum disease.